At any rate, we're taking another little family vacation (to attend a friend's wedding) and I'm not going to think about ANYthing but "relaxing" for a few days. In the meantime, given the fact that I'm in History Mode, I thought I'd take a bit of time to reflect on the History of My Blog. It seems rather fitting, wouldn't you say? Now, I have a very black and white personality and when I started writing reviews that was clear to see. I possess very little gray and, quite frankly, I have a hard time seeing it. Usually it has to be pointed out to me (which I'll describe in more detail in an upcoming book review). As I continue to pursue grace (application and acceptance! ), my blog has changed along with me. If you've been around with me for the past 2-going-on-3 years I hope you'll have noted the change. As much as I have always loved to love books, I have also loved to hate them. Is this such a bad thing? I truly don't think so. Some books are unworthy of love, in my opinion, and ought not to be read or disseminated. Should they not be printed? Well, sometimes I think that a truly discerning book publisher should have passed a few books up. Now, I will continue to come across books that I love to hate. And I will have my say on them. However, I'm working on adding in a little bit more grace as I go. Sometimes I succeed and othertimes not so much! No, I'm not working towards watered-down thoughts on books so much as I'm working towards Biblically accurate thoughts and that requires a bit of love mixed with justice. Anyway, there have also been quite a few books I have loved to love! The Count of Monte Cristo, by Alexandre Dumas which I first read with Bookfest. We'll be reading it as part of our Classics Bookclub over at 5 Minutes for Books in August and I'm looking forward to revisiting it then! Les Miserables by Victor Hugo which, of course, was just read for the Classics Bookclub this past month. I've also grown to learn to love focusing on a particular author or series. I had a FABULOUS time in December 2008 reading through the Narnia books by C.S. Lewis. I began my Narnia journey with an overview of my opinion of the series and summarized my week here. I also learned that one week in Narnia can just about kill you. 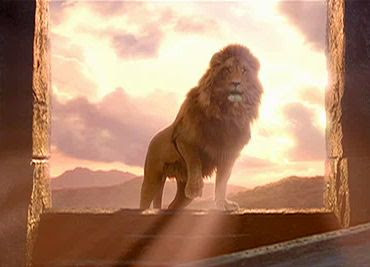 I plan to do a Narnia Challenge this coming December so if you want to come back and join in with me then, please do! More details about that will be forthcoming -- in time, of course. 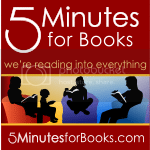 Of course, the biggest change for me and this site since 2006 was joining the review team at 5 Minutes for Books. That probably did more for my focus and reviewing habits than anything else. When Jennifer sent me an e-mail asking if I'd be interested in joining the team, she said that I could take some time to pray about it. I responded that I didn't need to pray about it for more than just a couple of seconds because I knew what the obvious answer was already. I responded quickly because I didn't want her to change her mind! And this is what it all pretty much boils down to: my involvement in 5 Minutes for Books has spawned a serious of thoughts, ideas, heart attitudes and actions that are molding and shaping me. I'm not sure if what lands on your computer screen reflects what I'm personally thinking through or not but behind every post is a thought of some sort that is directing how I view the world. If I thought for even one second that I wasn't learning or growing spiritually anymore through the Reading to Know site or 5 Minutes for Books, I would drop them both like hotcakes. But the fact of the matter is, even when it doesn't seem like I'm going anywhere with what I'm doing - I am! Book by book, paragraph by paragraph, sentence by sentence, my mind is always whirling about what authors are saying and what influence any particular book is having on me or my family. So long as that is happening I will keep blogging. When it stops, so will I. It's as simple as that. God knows I love to read and He teaches me things in every book that I pick up - whether or not it appears to have anything to do with Him on the surface. I am encouraged and built up, motivated to grow and to learn more and to learn how to accurately apply truth. There IS a hope in the printed worth, bound up in various ways and under various covers. Books are beautiful and as long as I think so, I'll be right here for you to find me. This is beautiful, Carrie! I've so enjoyed getting to "know" you through cyberspace and reading your reviews is always interesting and enlightening! Keep up the good work! Happy 500! Here's to many more! I liked reading your history and I'm glad to be a (small) part of your present! Oh this is great to read. I am so glad that you said yes to 5M4B too. I don't know if it would have been the same without you, and I've certainly enjoyed getting to know you better. This was fun to read "The History Of.." So God is growing you through blogging, too, huh? Thank you for sharing that. I've been just a tad overwhelmed by the whole blogging thing in recent days and was questioning why I started to begin with. You've reminded me. Thank you. Good post. Congratulations on your 500th. Like you I feel compelled to read a book a week so I'll have something to add to my blog. 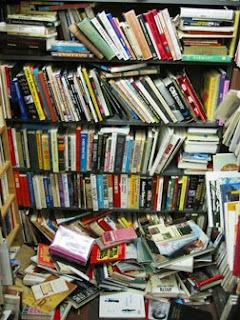 That in itself was a step toward growth because reading keeps me from spending excess time on less worthy distractions. But I've also grown because I've had to think more carefully about each book I read in order to write about it which has helped to cement the truths I've learned from it. Congrats on 500 posts! I hadn't read your review of Lemony Snicket until right now...yikes! Congrats on your 500 posts...I'm a prolific passionista that started blogging in 2006 as well, as the founder of ShapingYouth.org, where we focus on media and marketing's impact on kids! Congrats on 500 posts! I just hit mine as well. On another note, I thought I would mention that your header is one of the nicest I've ever seen. I think that everytime I see it. I loved this post, Carrie, and loved getting a glimpse of your heart, and a bit of the "behind the scenes" of your awesome blog. Congratulations on your 500th post! I've loved getting to know you better over the last year or so, and I always look forward to your reviews, both here and on 5M4B.